BOB recently hit the road for an event he’d been working on with the North Carolina Craft Brewers Guild. 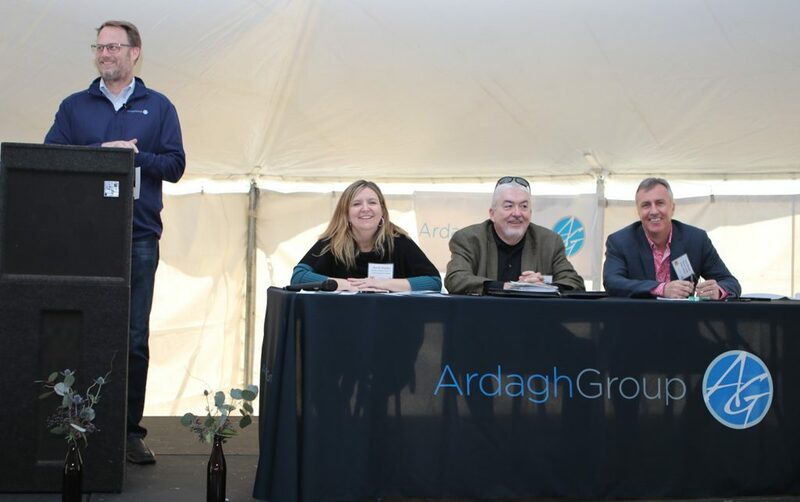 The Sustainable Brewing & Packaging event was hosted at the Ardagh Group glass manufacturing facility in Wilson, N.C.
Josh Brewer, Brewmaster at Mother Earth Brewing, joined Larry Lane, Owner/Brewer of Double Barley Brewing, and Kate Binder, Sustainability Specialist from Bell’s Brewery, in a panel discussion about sustainability practices at their breweries. 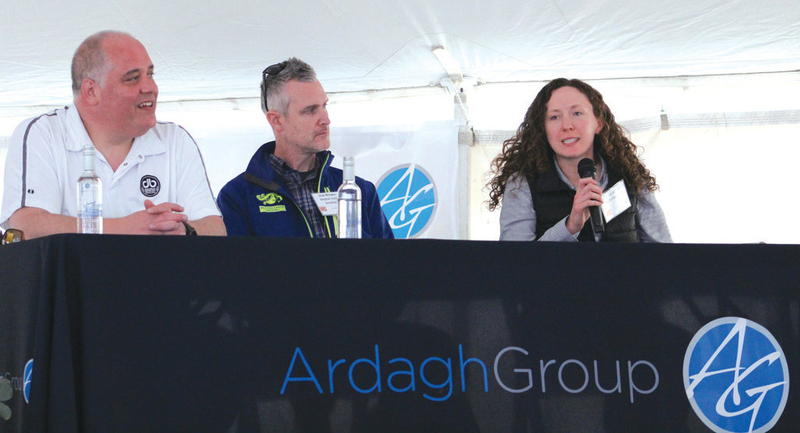 From more efficient equipment and installations, to composting programs in taprooms, the breweries shared ideas with each other and the other brewers in the audience that can yield big savings to a brewery’s bottom line. From left to right: Larry Lane from Double Barley Brewing, Josh Brewer from Mother Earth Brewing and Kate Binder from Bell’s Brewery. Chad Beane, Solid Waste Division Manager, Moore County Public Works, who’s operation was identified by Bill Clark as a model for other programs, discussed Moore County’s success in creating a local aggregation site that provides an opportunity for residents, bars and restaurants to continue to recycle their glass containers, which are then processed by Strategic Materials and shipped to companies like the Ardagh Group manufacturing facility in Wilson to be made into new glass bottles. BOB had a wonderful time at the event. If you didn’t get a chance to attend this year, look for future events similar to this one coming to your neck of the woods.